but they are finished up to nature, and with a precision which delights the reader." “He who paints from le beau idéal, if his scenes and sentiments are striking and interesting, is in a great measure exempted from the difficult task of reconciling them with the ordinary probabilities of life: but he who paints a scene of common occurrence, places his composition within that extensive range of criticism which general experience offers to every reader. 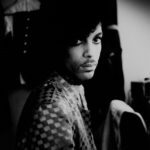 The resemblance of a statue of Hercules we must take on the artist’s judgment; but everyone can criticize that which is presented as the portrait of a friend, or neighbor. Something more than a mere sign-post likeness is also demanded. The portrait must have spirit and character, as well as resemblance; and being deprived of all that, according to Bayes, goes ‘to elevate and surprize,’ it must make amends by displaying depth of knowledge and dexterity of execution. We, therefore, bestow no mean compliment upon the author of Emma, when we say that, keeping close to common incidents, and to such characters as occupy the ordinary walks of life, she has produced sketches of such spirit and originality, that we never miss the excitation which depends upon a narrative of uncommon events, arising from the consideration of minds, manners and sentiments, greatly above our own. 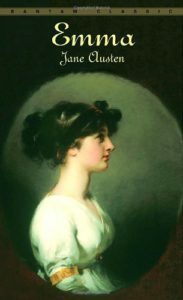 In this class she stands almost alone; for the scenes of Miss Edgeworth are laid in higher life, varied by more romantic incident, and by her remarkable power of embodying and illustrating national character. 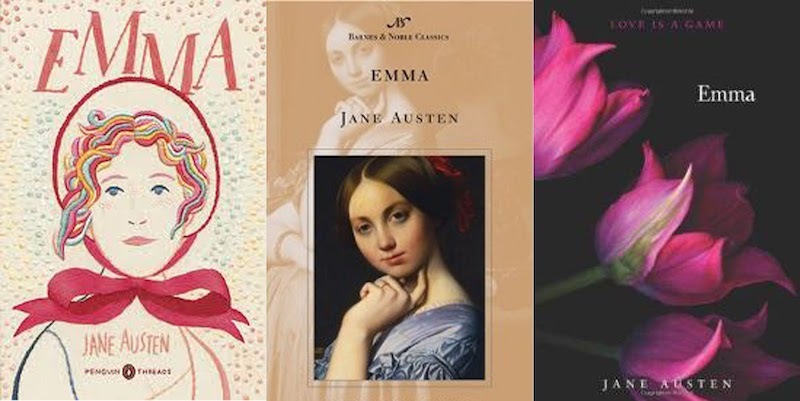 But the author of Emma confines herself chiefly to the middling classes of society; her most distinguished characters do not rise greatly above well-bred country gentlemen and ladies; and those which are sketched with most originality and precision, belong to a class rather below that standard. 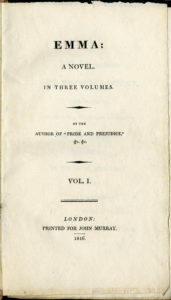 The narrative of all her novels is composed of such common occurrences as may have fallen under the observation of most folks; and her dramatis personae conduct themselves upon the motives and principles which the readers may recognize as ruling their own and that of most of their acquaintances. The kind of moral, also, which these novels inculcate, applies equally to the paths of common life, as will best appear from a short notice of the author’s former works, with a more full abstract of that which we at present have under consideration. 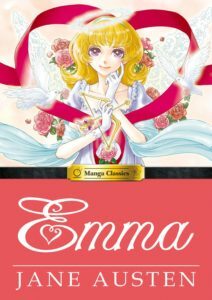 “Emma has even less story than either of the preceding novels. 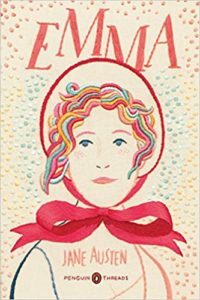 Miss Emma Woodhouse, from whom the book takes its name, is the daughter of a gentleman of wealth and consequence residing at his seat in the immediate vicinage of a country village called Highbury. The father, a good-natured, silly valetudinary, abandons the management of his household to Emma, he himself being only occupied by his summer and winter walk, his apothecary, his gruel, and his whist table. The latter is supplied from the neighboring village of Highbury with precisely the sort of persons who occupy the vacant corners of a regular whist table, when a village is in the neighborhood, and better cannot be found within the family. We have the smiling and courteous vicar, who nourishes the ambitious hope of obtaining Miss Woodhouse’s hand. We have Mrs. Bates, the wife of a former rector, past everything but tea and whist; her daughter, Miss Bates, a good-natured, vulgar, and foolish old maid; Mr. Weston, a gentleman of a frank disposition and moderate fortune, in the vicinity, and his wife an amiable and accomplished person, who had been Emma’s governess, and is devotedly attached to her. Amongst all these personages, Miss Woodhouse walks forth, the princess paramount, superior to all her companions in wit, beauty, fortune, and accomplishments, doated upon by her father and the Westons, admired, and almost worshipped by the more humble companions of the whist table. “The object of most young ladies is, or at least is usually supposed to be, a desirable connection in marriage. But Emma Woodhouse, either anticipating the taste of a later period of life, or, like a good sovereign, preferring the weal of her subjects of Highbury to her own private interest, sets generously about making matches for her friends without thinking of matrimony on her own account. We are informed that she had been eminently successful in the case of Mr. and Mrs. Weston; and when the novel commences she is exerting her influence in favor of Miss Harriet Smith, a boarding-school girl without family or fortune, very good humored, very pretty, very silly, and, what suited Miss Woodhouse’s purpose best of all, very much disposed to be married. In these conjugal machinations Emma is frequently interrupted, not only by the cautions of her father, who had a particular objection to any body committing the rash act of matrimony, but also by the sturdy reproof and remonstrances of Mr. Knightley, the elder brother of her sister’s husband, a sensible country gentleman of thirty-five, who had known Emma from her cradle, and was the only person who ventured to find fault with her. 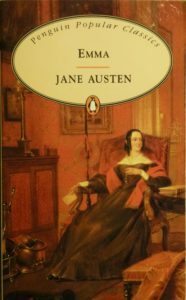 In spite, however, of his censure and warning, Emma lays a plan of marrying Harriet Smith to the vicar; and though she succeeds perfectly in diverting her simple friend’s thoughts from an honest farmer who had made her a very suitable offer, and in flattering her into a passion for Mr. Elton, yet, on the other hand, that conceited divine totally mistakes the nature of the encouragement held out to him, and attributes the favor which he found in Miss Woodhouse’s eyes to a lurking affection on her own part. This at length encourages him to a presumptuous declaration of his sentiments; upon receiving a repulse, he looks abroad elsewhere, and enriches the Highbury society by uniting himself to a dashing young woman with as many thousands as are usually called ten, and a corresponding quantity of presumption and ill breeding. 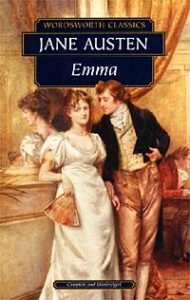 “While Emma is thus vainly engaged in forging wedlock-fetters for others, her friends have views of the same kind upon her, in favor of a son of Mr. Weston by a former marriage, who bears the name, lives under the patronage, and is to inherit the fortune of a rich uncle. Unfortunately Mr. Frank Churchill had already settled his affections on Miss Jane Fairfax, a young lady of reduced fortune; but as this was a concealed affair, Emma, when Mr. Churchill first appears on the stage, has some thoughts of being in love with him herself; speedily, however, recovering from that dangerous propensity, she is disposed to confer him upon her deserted friend Harriet Smith. 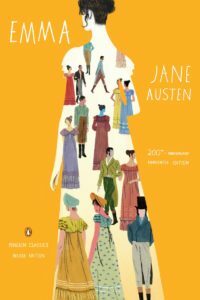 Harriet has in the interim, fallen desperately in love with Mr. Knightley, the sturdy, advice-giving bachelor; and, as all the village supposes Frank Churchill and Emma to be attached to each other, there are cross purposes enough (were the novel of a more romantic cast) for cutting half the men’s throats and breaking all the women’s hearts. But at Highbury Cupid walks decorously, and with good discretion, bearing his torch under a lanthorn, instead of flourishing it around to set the house on fire. All these entanglements bring on only a train of mistakes and embarrassing situations, and dialogues at balls and parties of pleasure, in which the author displays her peculiar powers of humor and knowledge of human life. “The plot is extricated with great simplicity. The aunt of Frank Churchill dies; his uncle, no longer under her baneful influence, consents to his marriage with Jane Fairfax. Mr. Knightley and Emma are led, by this unexpected incident, to discover that they had been in love with each other all along. Mr. Woodhouse’s objections to the marriage of his daughter are overpowered by the fears of house-breakers, and the comfort which he hopes to derive from having a stout son-in-law resident in the family; and the facile affections of Harriet Smith are transferred, like a bank bill by indorsation, to her former suitor, the honest farmer, who had obtained a favorable opportunity of renewing his addresses. Such is the simple plan of a story which we peruse with pleasure, if not with deep interest, and which perhaps we might more willingly resume than one of those narratives where the attention is strongly riveted, during the first perusal, by the powerful excitement of curiosity. The author’s knowledge of the world, and the peculiar tact with which she presents characters that the reader cannot fail to recognize, reminds us something of the merits of the Flemish school of painting. The subjects are not often elegant, and certainly never grand; but they are finished up to nature, and with a precision which delights the reader. This is a merit which it is very difficult to illustrate by extracts, because it pervades the whole work, and is not to be comprehended from a single passage. The following is a dialogue between Mr. Woodhouse, and his elder daughter Isabella, who shares his anxiety about health, and has, like her father, a favorite apothecary. The reader must be informed that this lady, with her husband, a sensible, peremptory sort of person, had come to spend a week with her father. 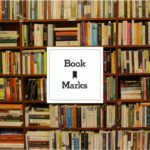 “Perhaps the reader may collect from the preceding specimen both the merits and faults of the author. The former consists much in the force of a narrative conducted with much neatness and point, and a quiet yet comic dialogue, in which the characters of the speakers evolve themselves with dramatic effect. The faults, on the contrary, arise from the minute detail which the author’s plan comprehends. Characters of folly or simplicity, such as those of old Woodhouse and Miss Bates, are ridiculous when first presented, but if too often brought forward or too long dwelt upon, their prosing is apt to become as tiresome in fiction as in real society. Upon the whole, the turn of this author’s novels bears the same relation to that of the sentimental and romantic cast, that cornfields and cottages and meadows bear to the highly adorned grounds of a show mansion, or the rugged sublimities of a mountain landscape. It is neither so captivating as the one, nor so grand as the other, but it affords to those who frequent it a pleasure nearly allied with the experience of their own social habits; and what is of some importance, the youthful wanderer may return from his promenade to the ordinary business of life, without any chance of having his head turned by the recollection of the scene through which he has been wandering.